The syndicate infected computers with malware and did phishing. The mastermind of the Avalanche cyber group has been detained in Ukraine, Prosecutor-General Yuriy Lutsenko said at a briefing on 1 December. "Law enforcers from 30 countries have these days completed an international operation to crack on the Avalanche cyber network which infected up to 500,000 computers on a daily basis. The network has been in operation for seven years. Five members were detained several days ago, three of them are Ukrainians. The network was masterminded by a Ukrainian national. He was detained in Poltava and put up resistance. He was armed with a Kalashnikov assault rifle and a pistol," he told journalists. 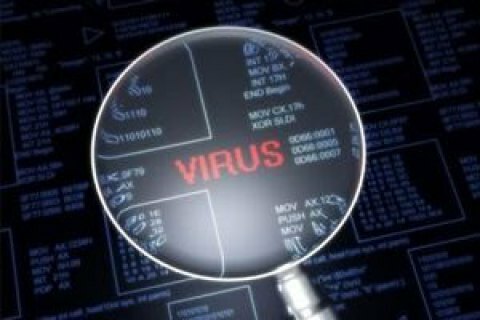 Avalanche infected computers with malware, phished data, sent out spam and laundered money. The law enforcers found 220 servers used by the group and blocked 800,000 domains. Lutsenko estimates the damage done by the syndicate at up to 100m euros. He said: "It is the first very notable international success of Ukrainian law-enforcement agencies. The first large-scale and successful international special operation of the Europol which we have recently joined." Yesterday, Poltava media reported on a shoot-out when police were detaining a man in the city centre. No-one was hurt.